Mejiro Kenshin Junior and Senior High School is an elite school that was restructured in April 2009 from Mejiro Gakuen Junior and Senior High School. It is based on the concept of a "coeducational school responding to the educational eeds of a new age". The school nurtures "Students who have confidence and communication skills to interact with others smoothly, who can collect and analyze information correctly to find and solve problems." The school's goal is to urture those students through daily classes, school events and club activities. From 2017, the school reforms are progressing into the third stage with the objective of further progress. We offer our students an extensive array of facilities and an environment for comfortable living, while our giving and passionate faculty work as a team to guide our students so that they can look back at their time at Mejiro Kenshin as the driving force that has made for a more enriched life. In an effort to assist students in the pursuit of their studies outside of class, the Study-Support Center has programs tailored to each student's level of academic achievement and educational needs, ranging from mastering fundamental skills to preparing for entrance exams of highly-selective universities. The Center has added more study booths and offers extended support hours until 8 p.m. Also, the Super English Course (SEC) provides a dynamic start to the high school curriculum. With the establishment of two tracks, the traditional course and SEC, our aim is to further enhance the academic guidance offered to our students. Five native English-speakers are on staff to ensure that the particularly strong emphasis on English education is met in all courses. Students will be equipped with the tool of English proficiency so that they may pursue their careers as full-fledged members of the international community. The institute also has a thriving study abroad program with sister school agreements with 18 schools in five countries. Many of our students go abroad to study, and many students from other countries also come to study at Mejiro Kenshin Junior and Senior High School. Students entering Mejiro Kenshin High School may select from one of three courses of study: the "Special Accelerated Course" for those students seeking admission to highly-selective public or private universities, "Super English Course" for those aiming to study at an overseas university or a Japanese university with a curriculum taught entirely in English, or "General Course" which emphasizes a balance between preparation for higher education and club activities. 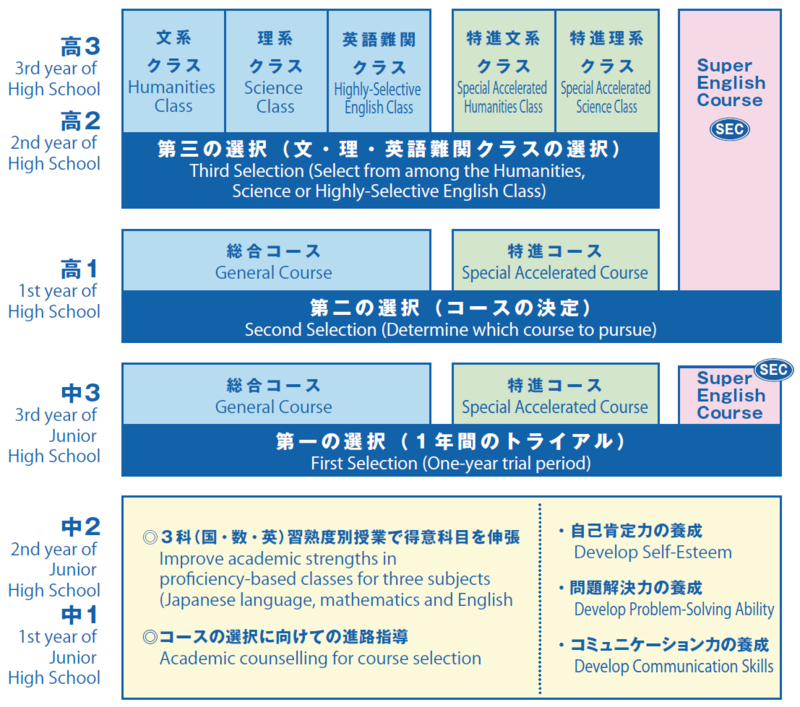 Students starting at Mejiro Kenshin Junior High School may tentatively select one of the aforementioned courses during their third year, then make their final choice when beginning their first year of high school. In order to realize study guidance that enhances students' learning skills, a Study-Support Center was established within the Media Center. The center offers educational videos and handouts for learning which students can incorporate into their studies, at their own pace. The learning site is also equipped with the most advanced facilities to enrich student life. The Shinjuku Campus is blessed with a luxuriantly green environment. More than 700 types of trees and shrubs are grown here. About 500 solar panels have been installed on the rooftops of the Saitama Iwatsuki Campus. Toward the goal of coexistence with the environment. Facilities include three science rooms covering physics, chemistry, biology and geology and two computer rooms which can also be used as an audio-visual facility and a language laboratory. Hands-on laboratory classes are held in these rooms. 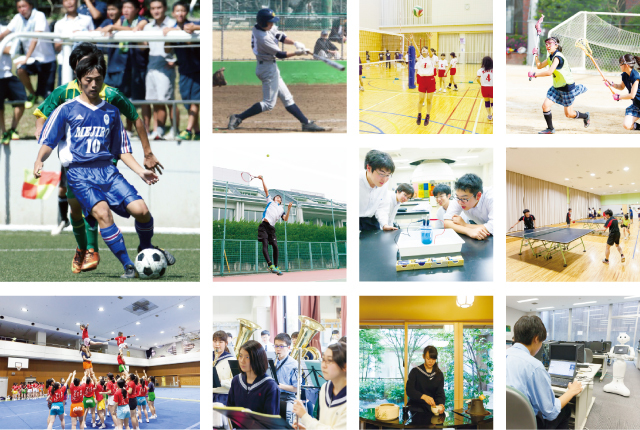 Mejiro Kenshin offers a broad range of clubs from special interests to competitive sports. With their peers around, students can go through hard training and practice. While developing a sense of responsibility and gratitude toward others, students can challenge themselves for a rewarding experience. 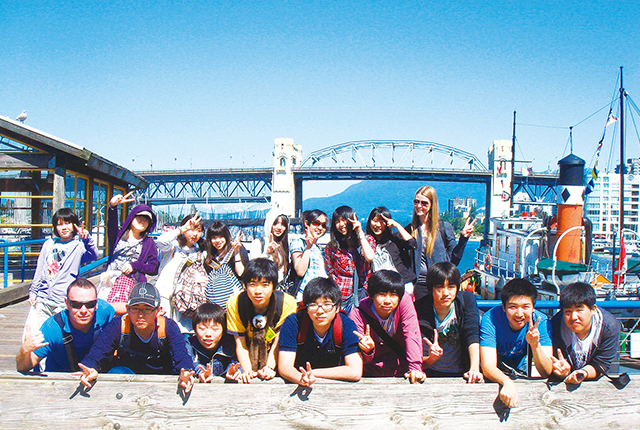 Study abroad and home stay programs are used to polish English communication skills. Since the time the school was known as Mejiro Gakuen, it has enjoyed sister-school relationships with 18 schools in five different countries. More than 350 students have participated in the study abroad program. In that same period, more than 230 students have come from sister schools to study at Mejiro Kenshin. 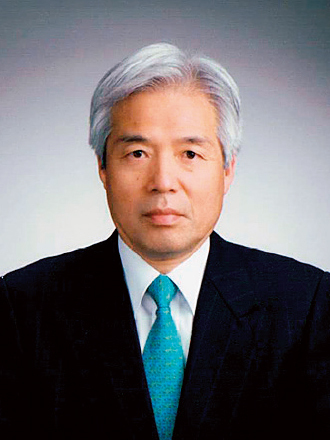 The school organization includes an International Education Department for handling the international exchanges, as well as the PTA International Exchange Committee and an organization of host families (the "MOM no Kai"). These groups support and promote information exchanges regarding studies abroad and international exchange programs.